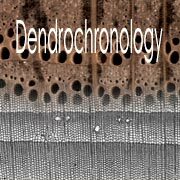 Dendrochronology is the study of the radial growth of trees (its name comes from Greek dendron: tree, chronos: time and logos: science). 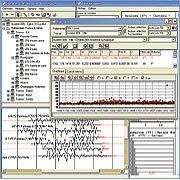 It is a well-established technique that allows the precise dating of wood, suitable for every species for which seasonal production depends on climate (specific studies). 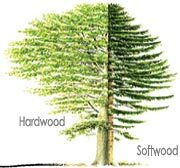 Trees of the same species, living or having lived during the same period of time and subjected to similar environmental conditions, develop ring-sequences with comparable growth rates. 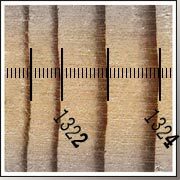 By comparing tree ring wood samples from different trees, it may be possible to establish a match between radial sequences and then to create a relative chronology, which can tell us about whether trees were growing at the same time or not.